HomeNoticesRound 3 – ONE TREE HILL Sunday 22nd January 2017 10 a.m.
We need a strong team out from ALL runners….. 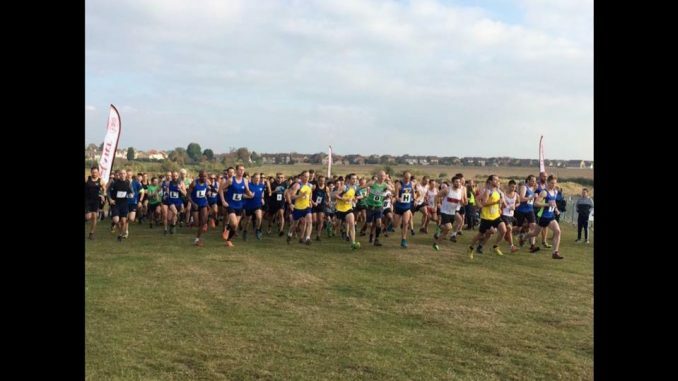 This Sunday is Round 3 of the South Essex xc league and we currently sit in 3rd position after 2 rounds, just 1 point of 1st place. Please make every effort to turn up and represent your club as the more runners we get out the more chance we have of doing well. Even if you aren’t one of the scoring athletes you can help the team by pushing down scorers from other clubs. Sunday 22nd January 2017 10 a.m.
Dry Street is closed between Nethermayne A176 and One Tree Hill. Access is either from the B1420 (5 Bells Roundabout) or the B1007 near the Harvester Crown Public House. Parking: Parking is very limited and it is essential to car share where possible and arrive in plenty of time for the start. Toilets are by the upper car park. Entry fee: The entry fee is £2.00 and should be handed to your team manager before the race. Identification: All runners to wear club letters and colours, and all participants must be over 17 years of age on the day of the race. Refreshments: Hot drinks and cakes will be provided near the upper car park after the race. Presentation: The presentation will take place shortly after the race as soon as score sheets are handed in and have been checked.